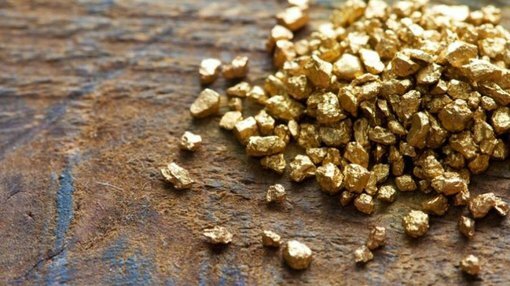 Blackham Resources (ASX:BLK) has hit more high grade holes at Golden Age, and says that a reserve increase is on the cards. The near-term gold producer told the market shortly after open this morning that it had hit a number of high-grade holes at Golden Age, which is designed as free-milling source for the Matilda gold project. BLK said on the back of the drilling it would more than likely upgrade its reserve for this portion of the project, especially when taking into account further drilling done along strike from existing indicated resources. These included hits of 6m @ 5.15g/t Au, 6.1m @ 10.5g/t, and 12m @ 7.4g/t. Prior to the drilling at Golden Age and along strike, the ore reserve was estimated at 112,000 tonnes at 6g/t for 21,000 ounces of gold. Including the aforementioned holes, BLK drilled a total of 39 holes for a total of 2726.5m at the Golden Age Deposit. More broadly, BLK has been conducting infill and discovery drilling at several key deposits at the Wiluna project as it attempts to beef up the longer-term prospects of the project. Crucially, the new holes are less than 500m from surface, meaning cheaper mining in the long run. It is slated to start up the circa 100,000/oz. Wiluna gold plant in the near-term, marking its transition from explorer to producer. The date of this is yet to be determined, so don’t base any investment decision on this information alone and seek professional financial advice. Managing director Bryan Dixon said while it was great to add a longer life to the deposit, it would more than likely be used to “add further grade profile” to the mill feed during the first two years of operation. BLK is gearing up for production from the historic Matilda gone mine in the third quarter of this year. The Tailings Storage Facility contractor have begun works on site, with Matilda open pit and underground mining contractors also mobilised to the site. The Matilda Gold Project has a resource of 48Mt @ 3.3g/t for 5.1Moz (51% indicated) of resource. BLK’s Matilda Gold Project is within 25km of its 100% owned Wiluna gold plant in WA, which is targeted for over 100,000oz gold production per annum from 1.7Mt of throughput. Last week it managed to grab $25 million from a placement to turbo-boost expansion of its Matilda gold project to a possible 9 million ounces of gold. The cash will go towards expanding the oxide and free milling reserves of the project, as well as expanding the sulphide open pit and underground mine plan and reserves through drilling.